Used oil container with built-in drain pan. 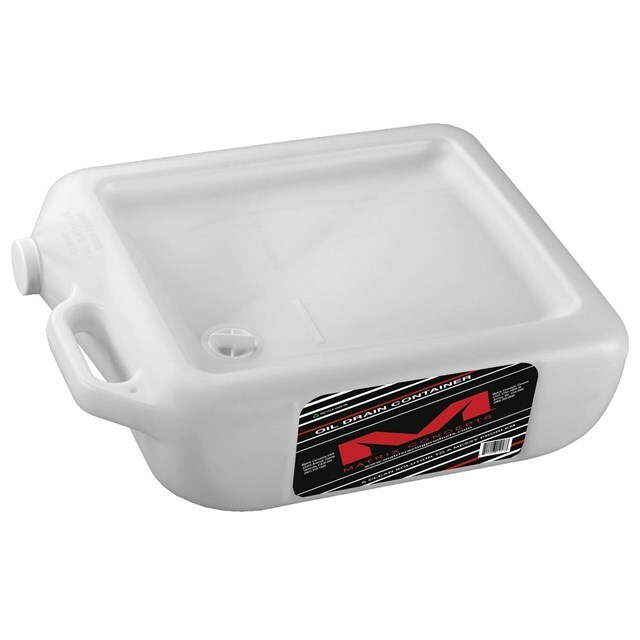 Low profile drain pan can be used in the garage or the track. Safely stores oil in a non spill container until it can be correctly disposed. Translucent material allows you to see when container is full.